As the holiday season approaches, many of us are starting to plan the logistics behind the holiday, namely packing suitcases, buying vital supplies, paying final hotel and travel bills and working out how to get everyone and everything to the airport in one piece. Here is our handy guide to helping make sure that the last item on the list happens without any problems along the way. Pre-booking your airport travel is probably the biggest favour you can do for yourself in the run-up to your holiday, especially if you have an early morning fight. 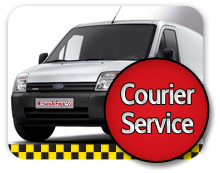 Knowing that you have got a taxi coming to collect you will enable you to start your holiday in a relaxed mood. Make sure you book a vehicle that is large enough to fit everyone inside it. 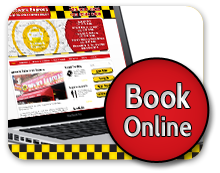 Look around for bargains and deals – the earlier you book, the more money you may be able to get off the price of your taxi, which you should always agree in advance. Do your best to travel as light as possible, as you will have to carry any luggage you do take from the taxi drop off into the airport and there may be weight restrictions on the flight. Choose suitcases and bags that fit easily into the boot of a taxi and make sure they are labelled and/or easily identifiable when they are placed on the luggage carousel at the airport. Leave some room for any souvenirs that you may pick up on holiday, or items that you might buy from the duty-free shop at the airport. If you buy anything large or fragile while on holiday, you might like to consider having it shipped home separately. Have key paperwork such as passports, flight tickets and currency for all the countries you are visiting, including the UK. You will need the latter to pay for your taxi ride to the airport, unless you pay on a card. If you are worried about security, invest in a money belt or choose a jacket with zipped pockets to keep things close to hand as well as safe from thieves. Try not to unpack anything while in the taxi and do a thorough sweep of the back seat and boot before you pay the driver to make sure you have collected all your possessions safely. While it is not quite so pleasant to think about coming home again after a lovely holiday, working out the arrangements to get you back home again before you set off will help you keep hold of your relaxed holiday mood for longer. 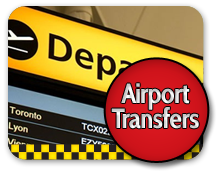 Book a taxi to meet you at the airport and agree in advance where they will meet you and how much the return journey will be. You may wish to exchange mobile numbers with the driver to make sure that you can find each other after a long and tiring flight.